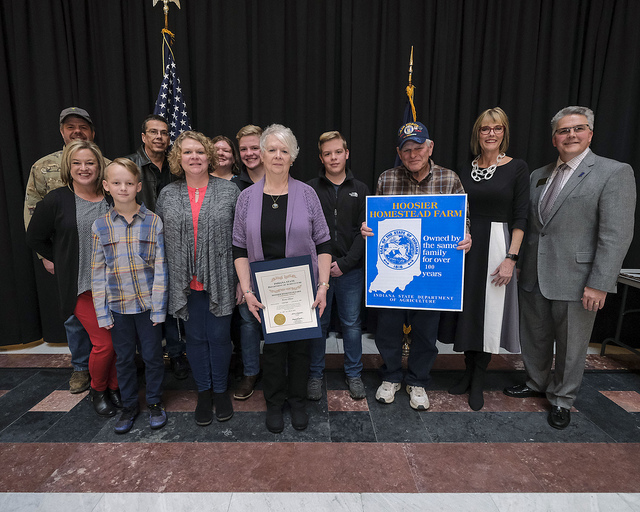 STATEHOUSE (March 27, 2019) – Local family farms were recently recognized at the Statehouse for being in operation for more than 100 years, according to local legislators. 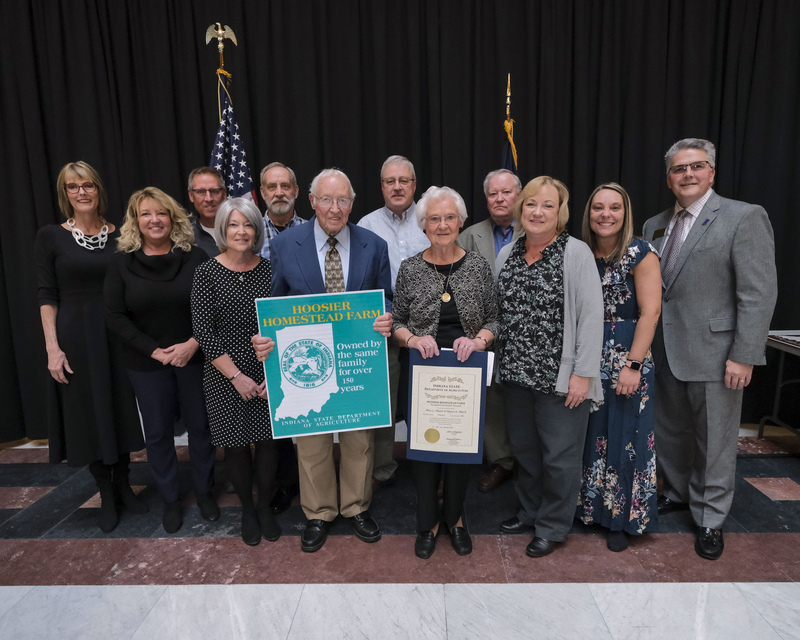 The Alice L. Maish and Myron E. Maish Farm, located in Russiaville and in operation since 1860, received a Hoosier Homestead Sesquicentennial Award. The Peters Farm, located in Kokomo and in operation since 1908, received a Hoosier Homestead Centennial Award. 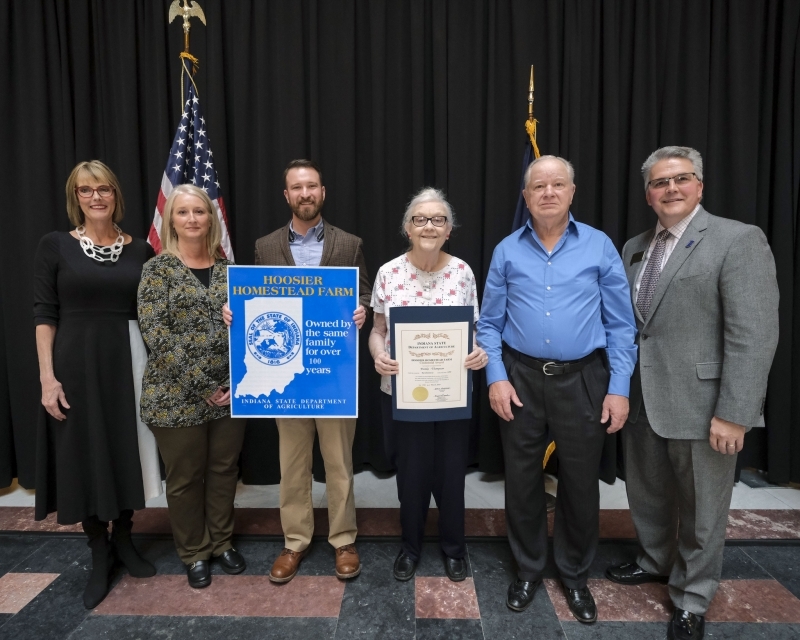 STATEHOUSE (March 27, 2019) – The Foster-Oliver Farm was recently recognized at the Statehouse for being in operation since 1881, according to State Sen. Sue Glick (R-LaGrange) and State Rep. Denny Zent (R-Angola). CAPTION: Gov. Eric Holcomb (seated, center) signs legislation co-sponsored by State Rep. Randy Lyness (R-West Harrison) (standing, fourth from right) adding Krabbe, a rare genetic disease that breaks down the nervous system, to Indiana’s newborn screening panel Monday, March 25, 2019, at the Statehouse. Holcomb and Lyness are joined by Joel and Andrea Clausen (seated) who advocated for the legislation after their son Bryce was diagnosed with Krabbe at 6 months old. STATEHOUSE (March 26, 2019) — Gov. Eric Holcomb signed legislation Monday co-sponsored by State Rep. Randy Lyness (R-West Harrison) adding a rare neurological disorder to Indiana’s newborn screening panel. 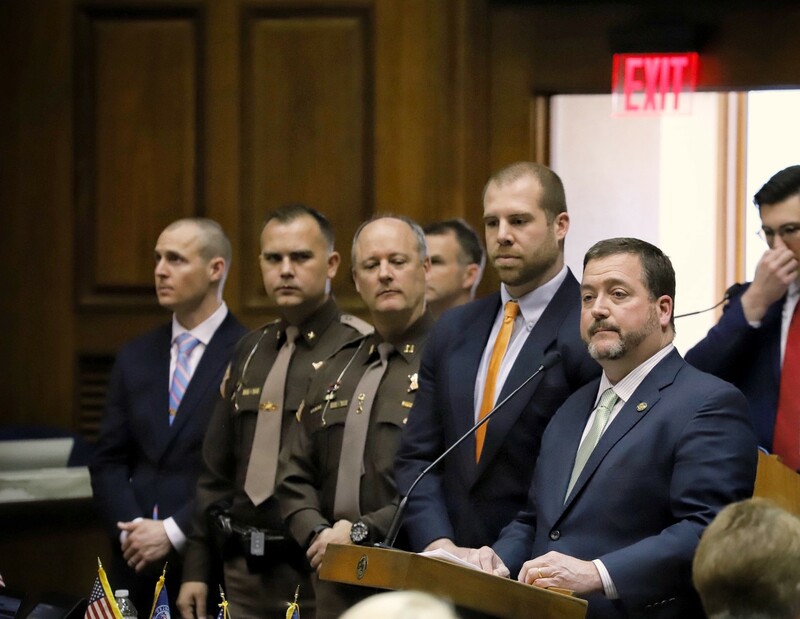 STATEHOUSE (March 26, 2019) – The House of Representatives Monday supported State Rep. Cindy Ziemke’s (R-Batesville) legislation to better protect Hoosier children from abuse. 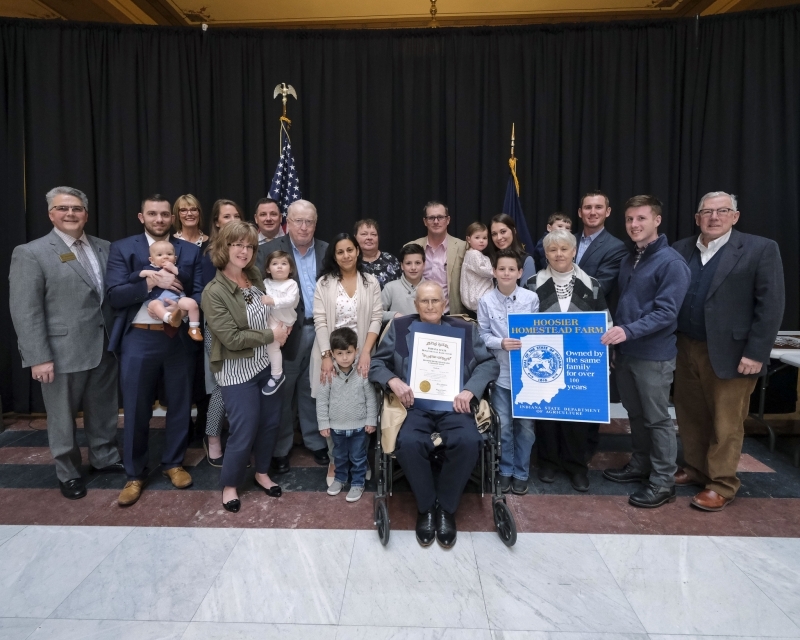 STATEHOUSE (March 26, 2019) – Local family farms were recently recognized at the Statehouse for being in operation for 100 years or more, according to area legislators. 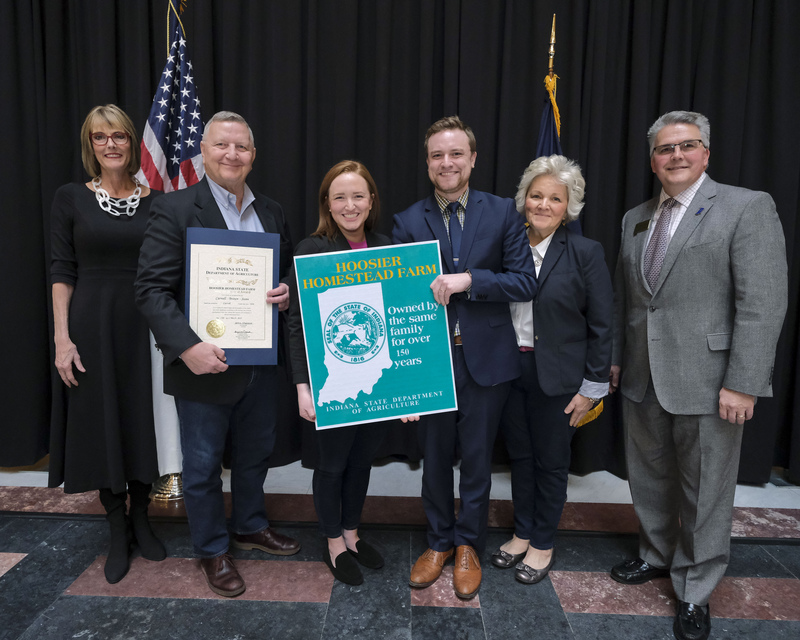 STATEHOUSE (March 26, 2019) – State Rep. Chuck Goodrich (R-Noblesville) today at the Statehouse honored those who protected students and staff at Noblesville West Middle School during last year’s school shooting. First responders from the Noblesville Police Department, Hamilton County Sheriff’s Office, Indiana State Police and Riverview Health, as well as Noblesville teacher Jason Seaman, were presented a resolution recognizing their heroic efforts. During the shooting, Seaman disarmed and subdued the shooter, ignoring his own personal safety for that of his students and taking three bullets in the process. 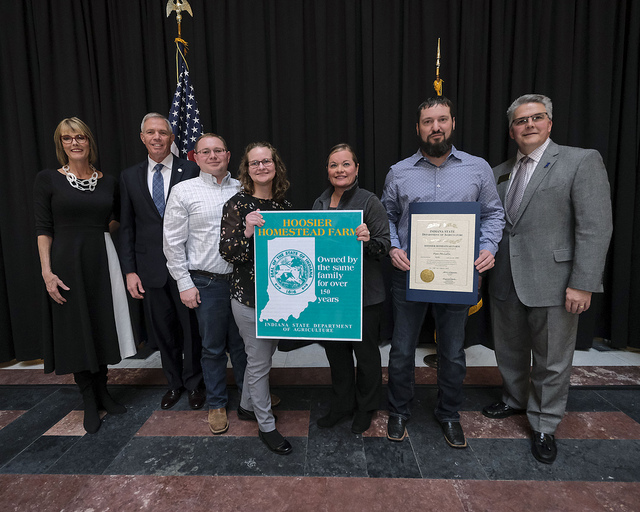 STATEHOUSE (March 26, 2019) – Two Carroll County family farms were recently recognized at the Statehouse for being in operation for more than 100 years, according to local legislators. The Carnell-Brown-Stone Farm, located in Camden and in operation since 1836, received a Hoosier Homestead Sesquicentennial Award. 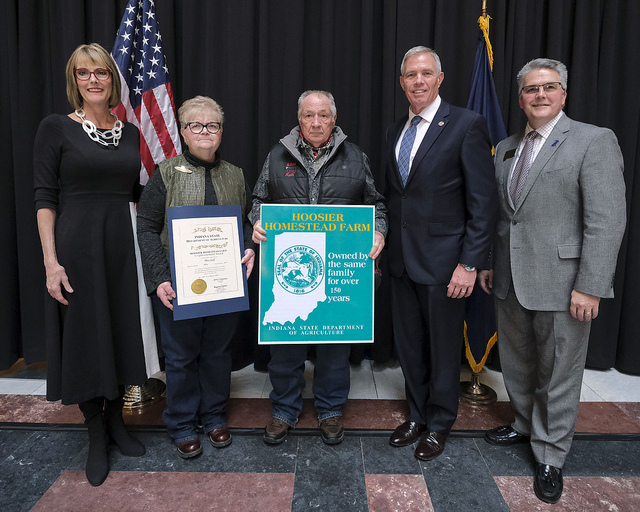 The Childers Farm, located in Delphi and in operation since 1919, received a Hoosier Homestead Centennial Award. Each year, the Salvation Army assists more than 25 million Americans. Since 1865, the international organization and its 1.5 million members have helped with providing disaster relief, sheltering the homeless, assisting the unemployed and preventing domestic abuse. With nearly 50 million Americans facing food insecurity each day, the Salvation Army also helps stop hunger by providing nutritious meals to anyone in need. 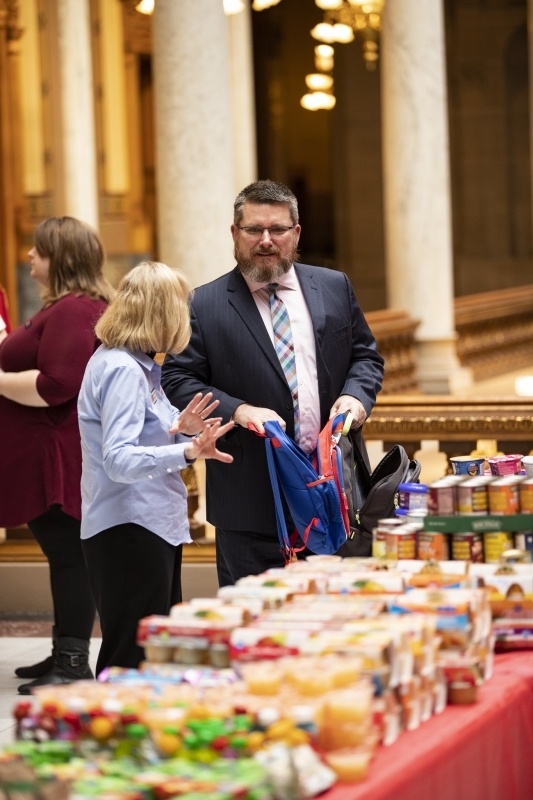 STATEHOUSE (March 25, 2019) – State Rep. Doug Miller’s (R-Elkhart) legislation to restore property tax exempt status to Habitat for Humanity could soon become law.